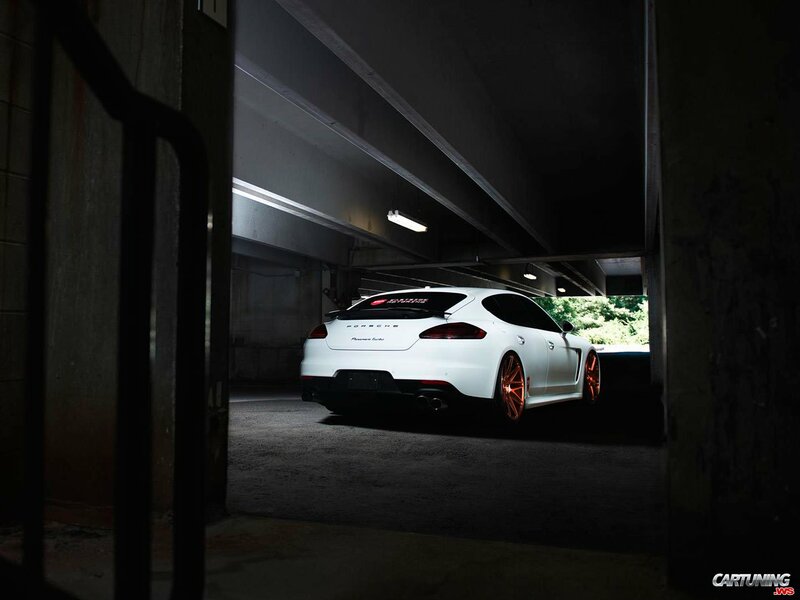 White Panamera Turbo on awesome bronze wheels Vossen. Maybe such wheels color is not best idea for white car, but looks interesting. Lowered suspension makes silhouette more dynamic and cool.